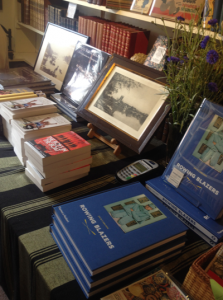 We got into rowing books by accident – In 1977 there was an auction of the contents from Jack Beresford’s house and we got a box full of rowing almanacs. They were pretty cheap and I was astonished when I sold some of them very well. Unsurprisingly the “rowing old guard” got very grumpy that this collection had been bought by a commercial company – but this gave me the clue that I was onto something. 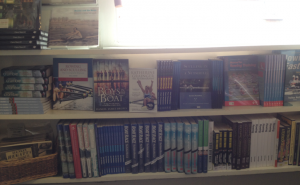 We keep a copy of every rowing book that we’ve ever had in stock and so we now have a really good library of out of print books. It’s a big collection. 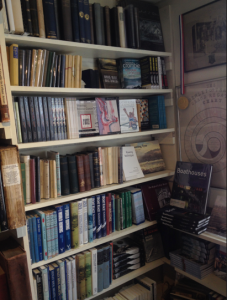 It is now a struggle to get old rowing books. We try hard and we meet wonderful people who we help to get the editions they want for their collections. They are collector and we support them. 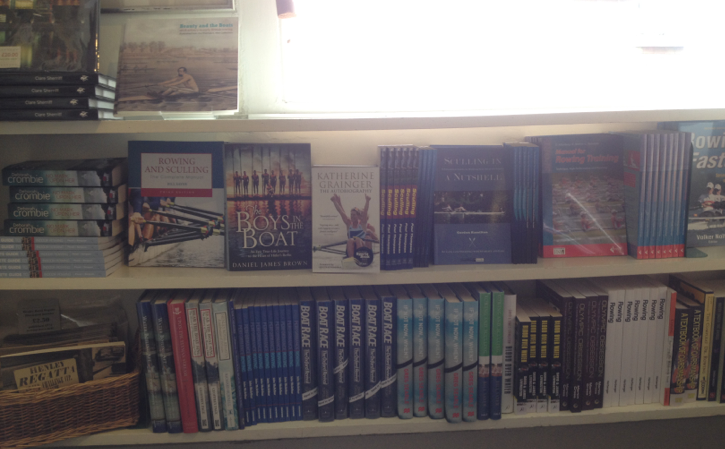 I would like to do a catalogue of rowing books. I’d correspond with Tom Mendenhall, who I call the Father of US Rowing. He would sit in the bookshop here during Henley Royal Regatta and people would come to talk to him. It’s the personalities who come into the shop that I love. Diana was the inspiration behind the publication of the Complete Steve Fairbairn – Volume 1 is published and the other three are coming soon. 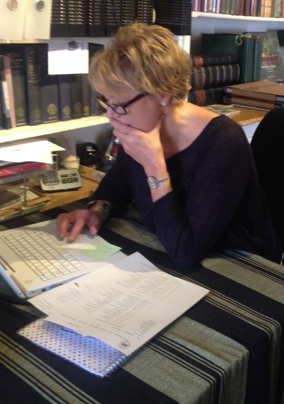 This entry was posted in Books, Interview and tagged Henley Royal Regatta, Richard Way books. Diana – you are one of the characters of the Rowing World! We all come and brouse and chat with you, it’s part of the Henley experience. 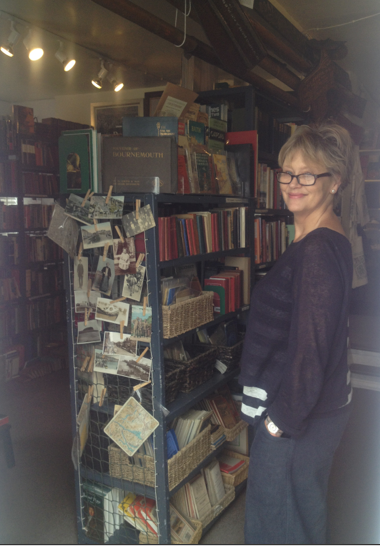 Just occassionally we might buy a book and if we’re lucky find a gem on your shelves. Thank you for all you do for all of us who have enjoyed and will go on enjoying the experience of visiting Richard Way Books.